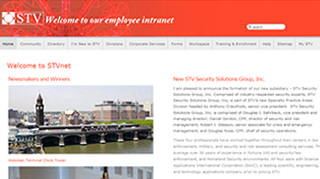 STVNET needed a detailed Intranet site that the employees could manage without having to constantly work with their IT department. Joomla! was a great solution for them. GothamInformatics.com: Responsible for the more 'technical and admin' areas of this complex website which resides on an IIS server. Because this is an Intranet site we can not provide a link to the specific site.